1963 brings dedications and more plans for the new Post Home. 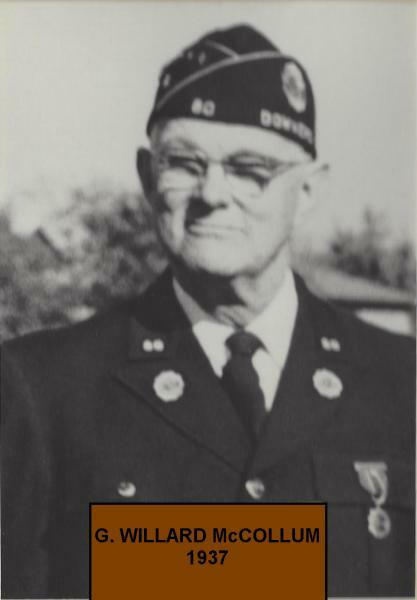 September 23, 1961 Dedication of the newPost 80 Home. 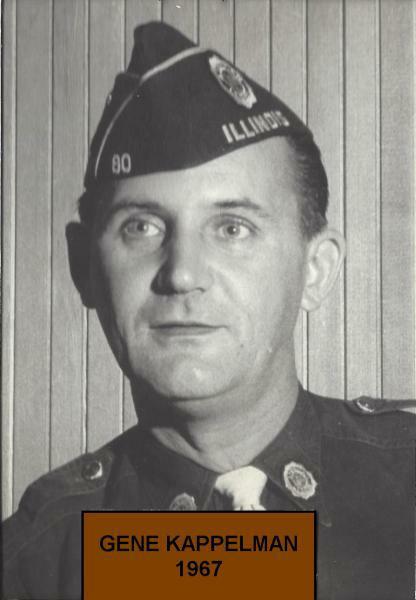 April 21, 1961 helicopter crashes on Legion grounds. 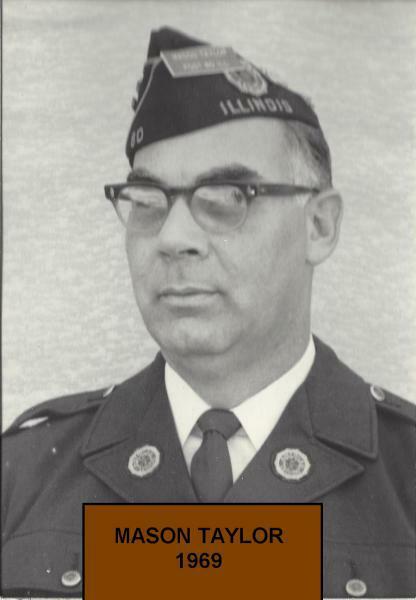 Alexander Bradley Burns, for whom this Post is named was born in Downers Grove, Illinois to J.M. and Mary Burns. 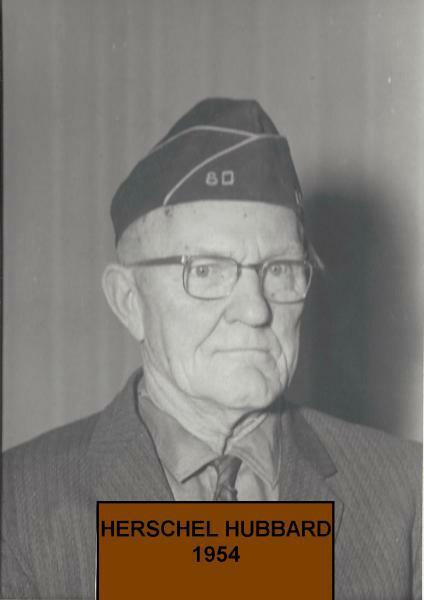 He had just graduated from high school when the war broke out and was one of the first to enlist in the Army. 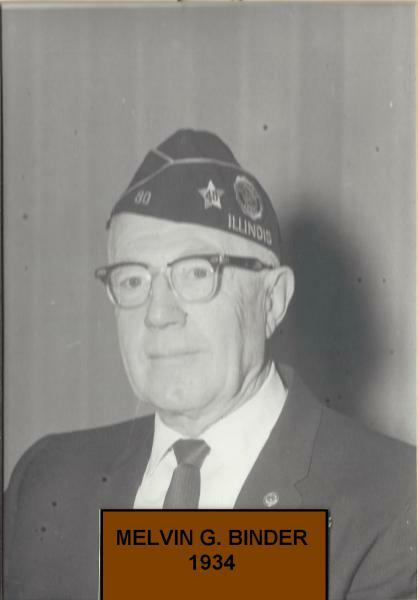 He joined Battery C of the First Illinois Field Artillery, later the 149th Field Artillery known as "Reilly's Bucks" named after Colonel Henry J. Reilly. 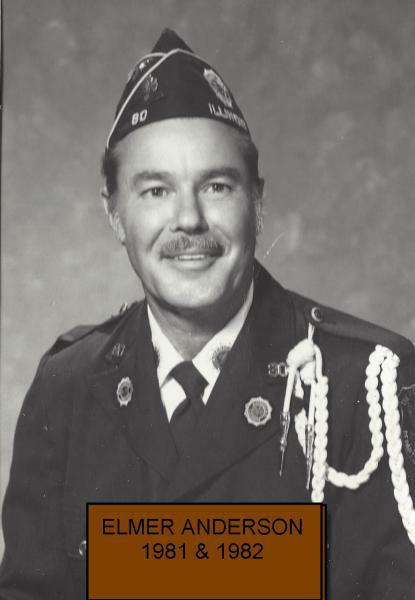 This was part of the famous "Rainbow..
Before beginning to read about Post 80 I should give proper credit to the past commanders and historians of this wonderful Post for keeping records so that one day we could share the legacy of Post 80. 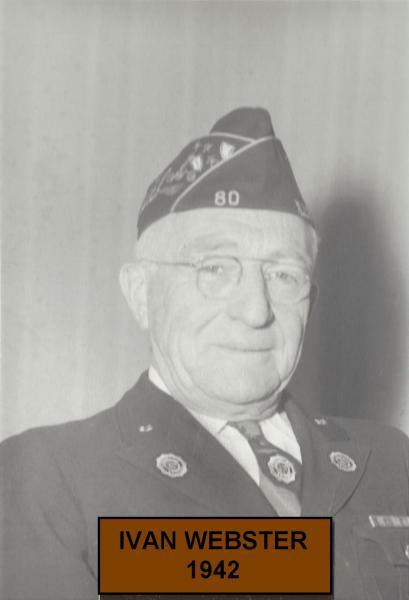 Past Commander Morris Stevenson (1925) prepared the history from the beginning through 1939. 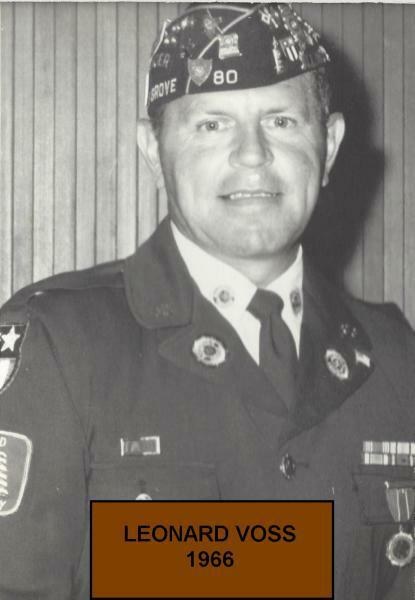 The history from 1939 to 1969 was written by Past Commander Thomas Lanagan (1947). Starting in 1919 each commander kept a collection of documents including.. 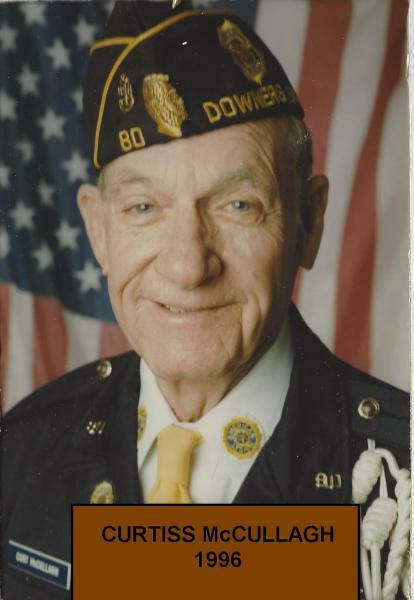 In the days following the Armistice the veterans of Downers Grove began returning home. Almost every day another uniformed man got off the train looked at the changes in his or her home town. By Christmas 1918 more than 30 had returned. On January 17, 1919 Mayor Kidwell welcomed them home with a party at the Curtiss Theater. Howard Jones took charge and every one had a grand time. These men were soon joined by.. 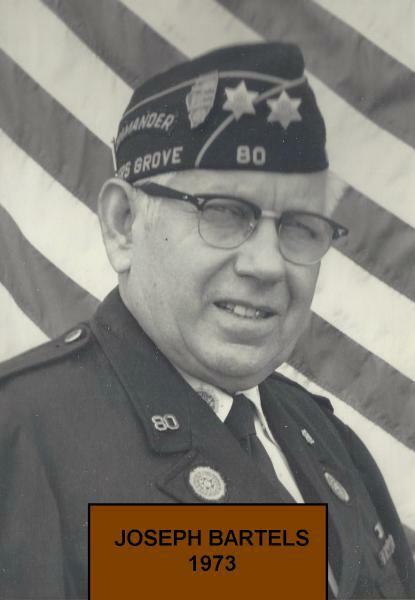 The veterans of Downers Grove received their charter dated August 7, 1919 and didn't waste any time getting started. They formed a football and baseball teams. Soon they were bragging of how great their baseball team was. During this time meetings were held in various places. The G.A.R.Hall, Masonic Hall and even an old school. These men were doing their best to follow the guidelines of The American Legion. 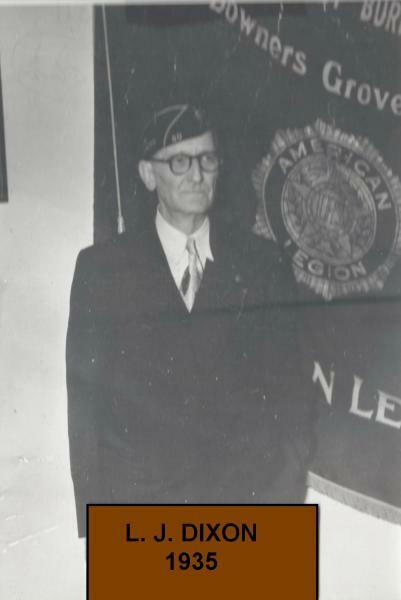 The meetings of this newly organized American Legion would be on the second and fourth Mondays of each month. There was business enough to require two meetings a month. club rooms were secured in the Dickie building. Activities were numerous. Aid to the Salvation Army is noted. Open house for various groups are frequent. We even find a record of the group furnishing a program for the Women's Club. Another old record looked interesting. It..
Norman Anderson had a tough row to hoe as commander. Many of the members were angry at the manner in which various events had fallen thru the year before. Others had developed new interests. Everybody except a faithful few had a legitimate kick coming. At the time it looked as though everybody was wrong and no one was right. There was little done during the year and the active members complained of that. There were.. Commander Swift started his administration by getting a crowd of thirty out to church on Armistice Sunday. Whether or not the time or place was productive of any good at least it was a start. Then without waiting for a regular meeting he started plans to put the Post back on it's feet. He called the officers together as an executive committee and outlined certain changes that he needed in the By-laws. The proposed changes..
Before I begin 1925 it is good to know that Stevenson is the man who recorded this history thru 1936. This is written in his own words as there were very little records of 1925. His words follow: It is difficult for one to write one's own work as Commander of this Post. The following account will necessarily be brief as the writer must trust entirely to memory. The report turned in at the end.. The first meeting of the new year started auspiciously. 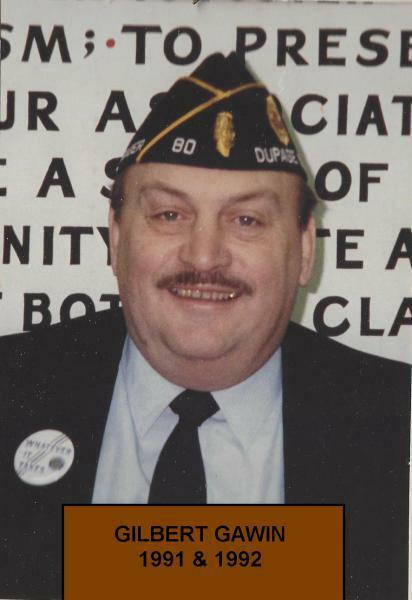 William Hooper took over the Commander's chair and made his appointments about equally from those of the executive committee of the previous year and from the new members that had joined in the past two years. In two years time the membership had come up from 18 to 144 and the hope was to double it again this year. Commander Hooper planned to get a Post..
Clark had been the man to nominate Henry Swift three years before and had been the one who had put forth the idea that a new comer in the Village would be able to pull the Post out of it's slump better than one who knew all the factions and troubles of the years before. His contention had been well founded and now the Post had elected him as commander It looked as though the.. The majority of the Post looked forward to a continuation of the prosperous progress of the organization. But those who had stood by for the past four years recognized the fact that there had to be a lull in activities. The gains made in the past four years would have to be made permanent. Certain members who had devoted much of their spare time to Legion activities wanted a rest. 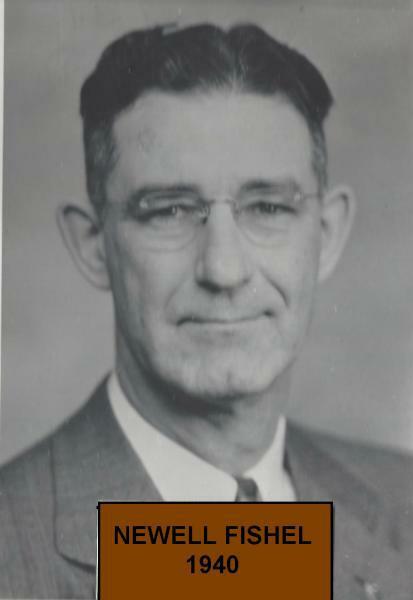 Also there was further complication..
Dr. Witt's first meeting reflected the new ideas that were to prevail. A motion was made to raise a fund to assist in the Christmas celebration for the orphans at Normal, Illinois. The motion provided that a committee be appointed to investigate and cooperate with others with full power to act as they see fit and expand a certain sum. In other years a sum would have been appropriated and the money spent with no..
During Commander Johnson's (1930)year the Post had not realized that the depress Men who had held positions with companies for ten years and longer began to look anxious. Those that had joined the ranks of the unemployed had been men of a few years service. Now those in the Post who regarded themselves as secure in their jobs were beginning to look anxious and at every meeting there would be another one or two who.. The trend of work of the entire year was indicated at the first meeting at which Commander Walter presided. The membership role was considered and there were no plans made for breaking records. Walter stressed the fact that we needed members who would work during the year. 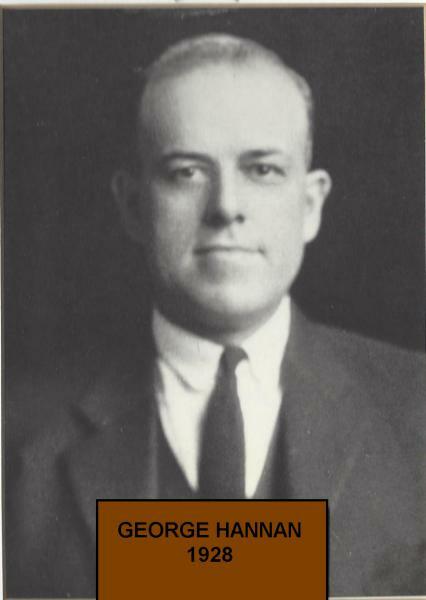 The change that started in Hannon's (1928) administration was now under way and the meetings were now serious affairs where ways and means of aiding those men who..
1933 Brings "YOUTH WEEK TO DOWNERS GROVE"
Immediately upon the beginning of the year the quest6ion of relief came up. We had a representative on the Relief Committee. This committee decided that a series of entertainments should be turned over to the Relief Store. The Roman Catholic Church staged a boxing show and turned in profits of over two hundred dollars. Other churches and organizations followed and profits ran half that figure. When it came the turn of the Post, their committee..
A new administration had taken over in Washington. 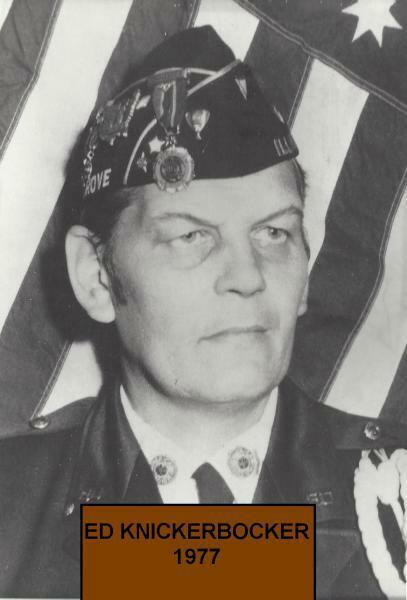 The BLUE EAGLE was going to cure our economic ills according to General Johnson, while another prominent democrat, carter Glass, criticized the idea and expressed his disgust at the antics of the "BLUE BUZZARD". However an epidemic of alphabitis enveloped the country from A.A.A. to X.Y.Z. In the maze of combinations of letters, two groups emerged to bring hope to many of our members. The C.W.A. and..
At the January meeting each member had his copy of the new by-laws and the whole thing was read and voted on. Practically the entire new set of rules was accepted by the Post. A few minor changes were decided on and held over to be voted on at the next meeting. After that the accepted by-laws were printed so that a sufficient number of copies would be on hand for future reference. 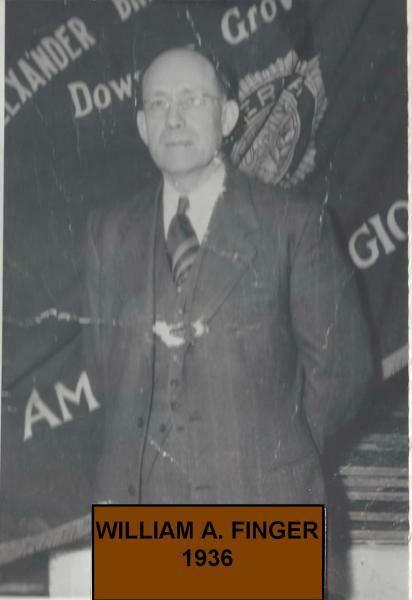 The membership..
William A. Finger was elected commander for 1936. 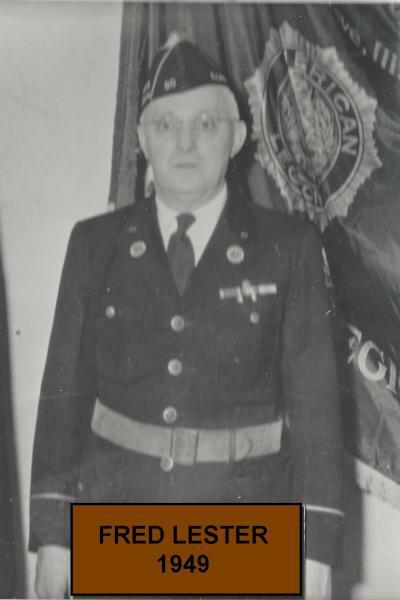 The new officers will hold office from September 1936 to the end of August 1937. 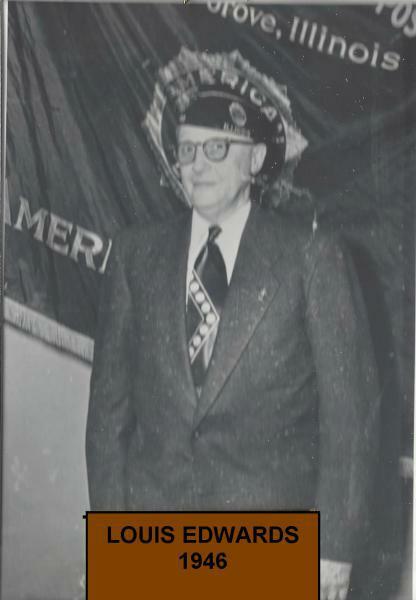 At the September meeting Past commander Dixon(1935) suggested that the Post set aside a part of the profits from the carnival against the time when the membership would be too old to conduct such affairs. The idea met with the approval of the membership and there was considerable discussion as to what.. The new year was begun on September 10, 1936 by installation ceremonies at the Woodridge Golf Club south of Lisle, Illinois. 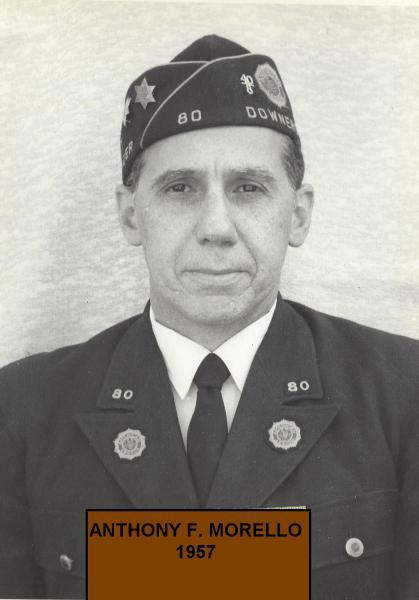 The installing officer was Past District Commander Otis Cushing of Hinsdale. 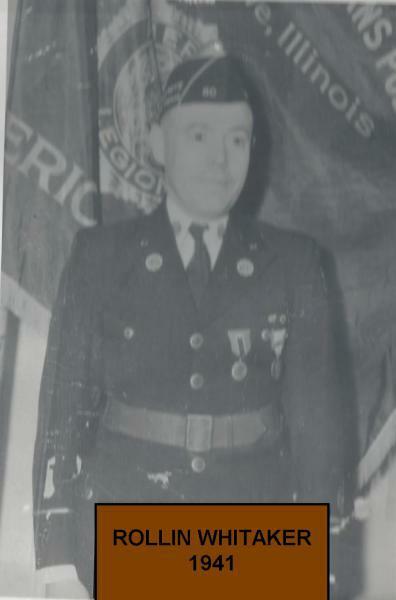 The new officers would serve until August 31,1937 The speaker was Paul Armstrong, past Department of Illinois commander. He said "It was said after the passing of the Bonus Bill that the American Legion would disintegrate, as it had no further programs for.. 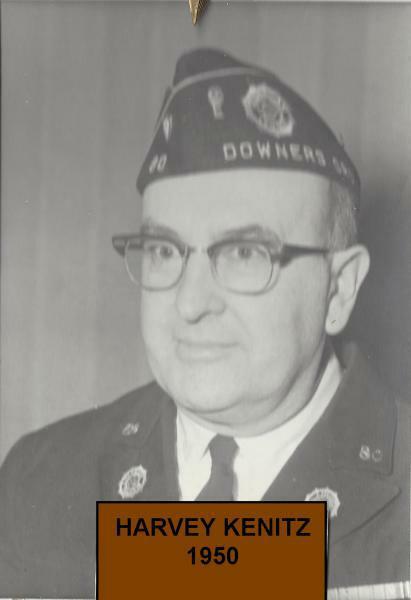 The following history is from the notes and writing of Past Commander Thomas Lanagan (1947) Commander Meyer announced that Past Commander Bill McCollum had been nominated for Du Page County Commander but before he could begin his duties he had taken quite ill and had to decline. Charles Dyer, chairman of Youth Week, reported a very successful celebration with 930 children in the parade. There were 32 SAL boys in the Drum Corps. 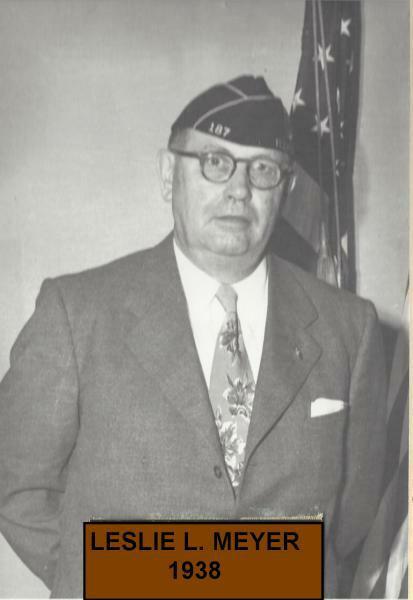 Shortly after..
At the January 4, 1939 Post meeting our Boy Scout troop was presented with it's new charter and an American Flag. The Salvation Army Band of Chicago furnished the entertainment for our January social. The Post has begun a monthly publication to be known as "THE LEGION-AIRE. Ivan Webster will handle the new publication. On March 1,1939 Captain Roderick D. Parker, Civil War drummer boy was laid to rest. Capt. 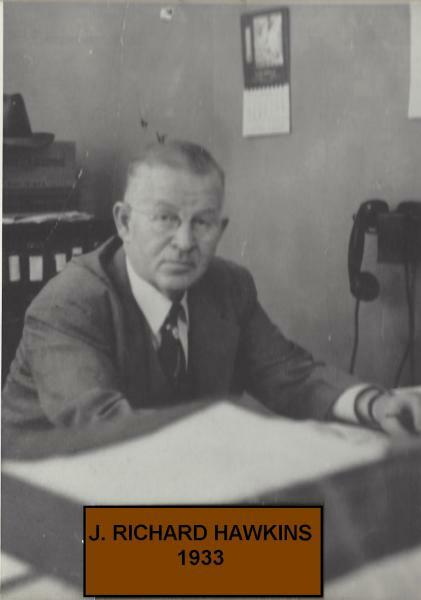 Parker was the owner of..
After turning over the Post to Newell Fishel, Charles Dyer was employed by Rotary International and traveled extensively through out the world. 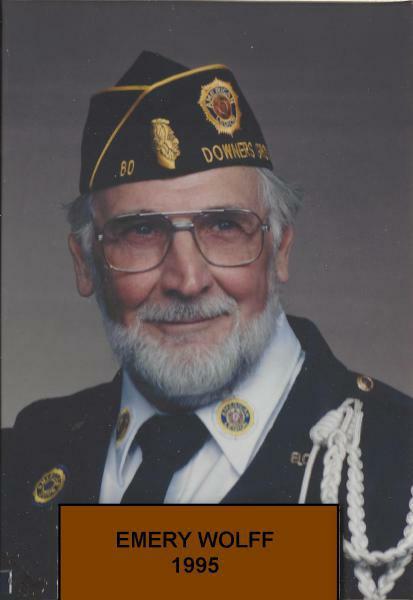 He was now in a position to do a great deed for Post 80. One of his trips took him to Europe. He was able to visit some of the World War battlefields in France. He made it his duty to visit the grave of Alexander B,Burns in who's memory this Post is.. 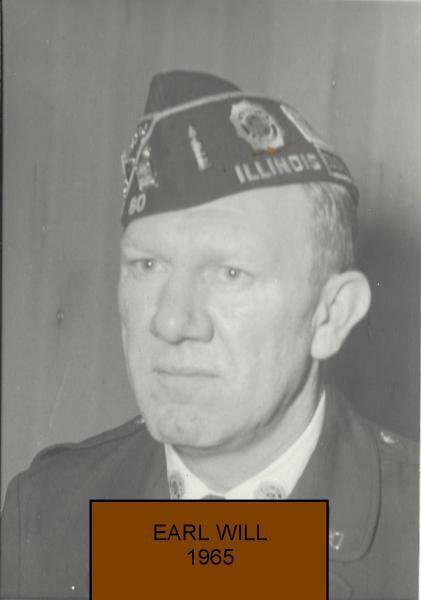 The Installation of officers was held at the Woodridge Country Club in Lisle on September 18, 1940. In October work began on the new Post Home. The Auxiliary donated $600.00 to the Post to be used as needed for the new home. The building was an old plumbing shop and needed a great deal of repairs. Cleanup of the old building was begun and repairs followed. By December the building was usable. The "DRAFT" began.. In September of 1941 the worry of another great war was on everyone's mind. 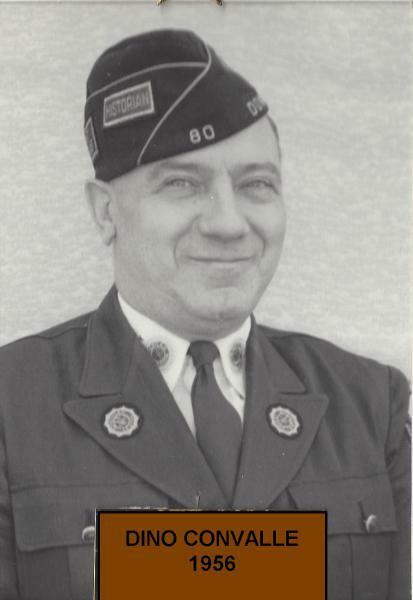 Post 80 was aiding with the local draft board and supplying coffee and donuts at the train station for the draftees and their families as more men left for military training. Normal Legion activities were conducted until December 7th when the Japanese attacked Pearl Harbor. The United States was once again at war. 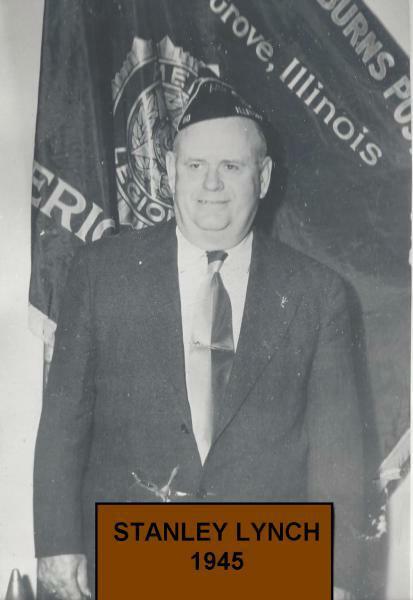 On October 1, 1941 Post 80 organized it's..
Tom Arndt was in the steel fabrication business and had his own plant on Chicago's south side. Running his business made it difficult for him to attend Post meetings. Sr. Vice Wally Whitlock took over the gavel at most of this year's meetings. Post 80 joined with other organizations in the Village to promote ways and means to provide gifts for all of our men and women in the armed forces. 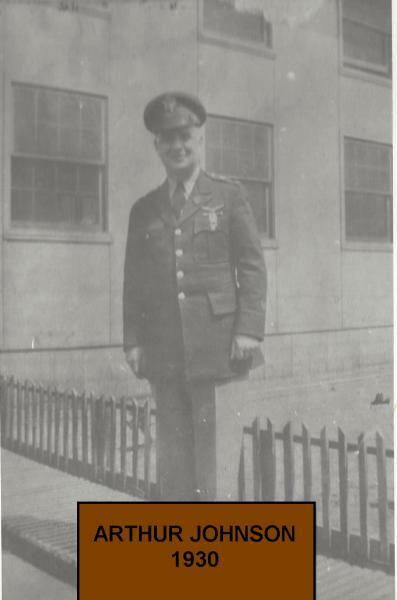 In September 1942, Post..
Wallace Whitlock will guid Post 80 thru yet another war year. Plans for this new Legion year would be the same as last year, as volunteers are still hard to find. For the new Legion year of 1944 the Post has budgeted $2062.00. The third Friday and Saturday of each month the newly remodeled Post Home is contracted for and should bring in About $200.00. New tables and chairs have been ordered for the hall. 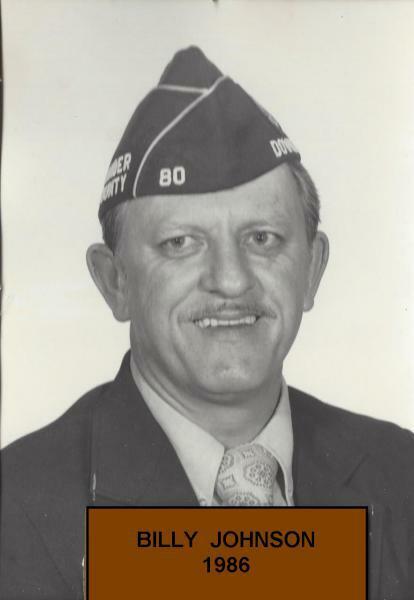 Food and refreshment chairman Otto Niedner reported higher prices for food..
As the war begins to wind down and more and more veterans begin to return home Post 80 looks for more ways to raise funds to assist them. The Downers Grove Honor Roll now has over 1700 names of the men and women from this community who answered our country's call to arms. As of this date 31 have given the supreme sacrifice. 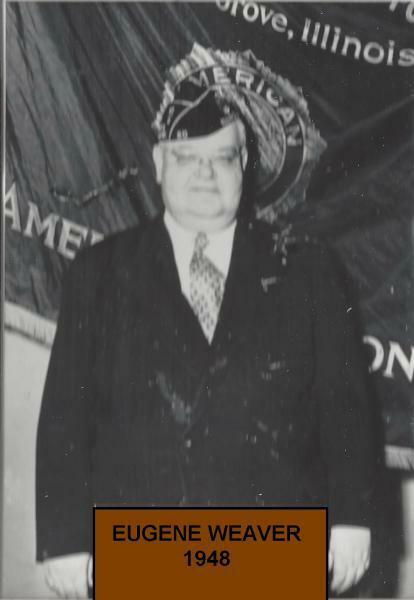 At almost every meeting returning soldiers were invited to attend and tell..
With World War two over and many new members to Post 80 and the neighboring Posts, a new era will begin for the American Legion. 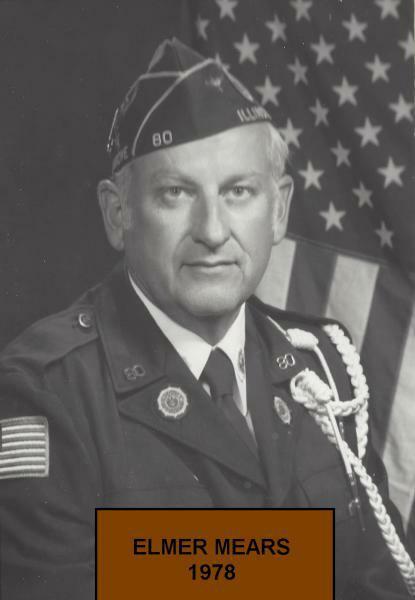 It is the fall of 1945, Lou Edwards is the choice for commander. 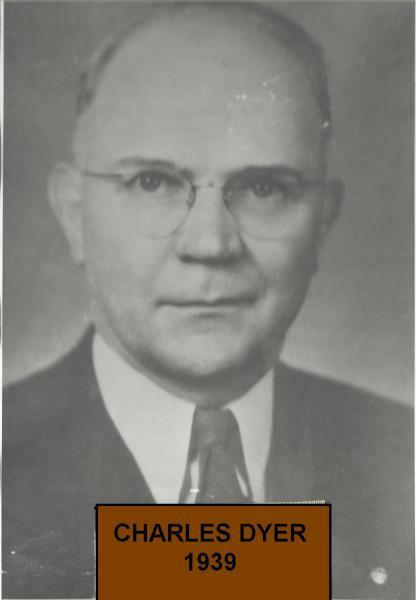 Lou has been a go getter since he first joined the Post back in 1932. His experience had stood him a good stead, for he was destined to be in for a very busy year. 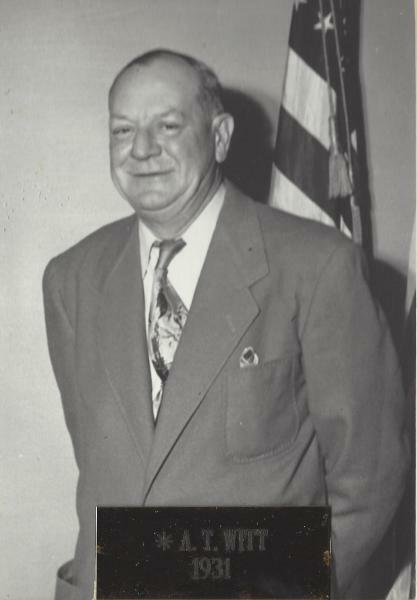 Several of..
Tommy Lanagan upon taking control of the gavel for 1947 gave a lengthy speech on the accomplishments of last year. 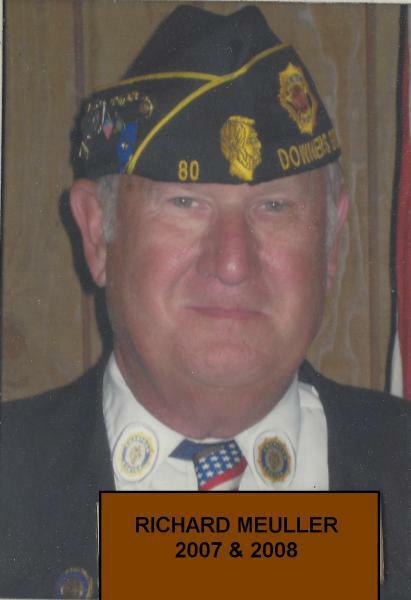 He thanked Lou Edwards for a record year and membership of 451, 2nd highest in Du Page County which has thirteen posts. This gives Post 80 five delegates to this year's State Convention. 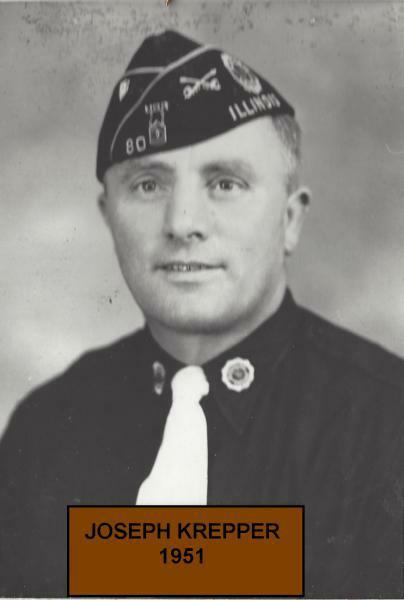 The 1947 Legion Year would be an average year where ceremonies and celebrations went off as normal.On Friday, October 11, 1946 Post..
Eugene Weaver leads a year of mystery. 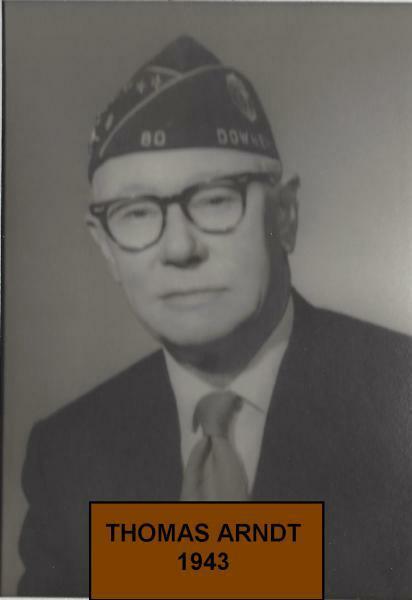 As of this date, April 9, 1957, this historian has been unable to find any detailed records for the 1947-48 Legion year. 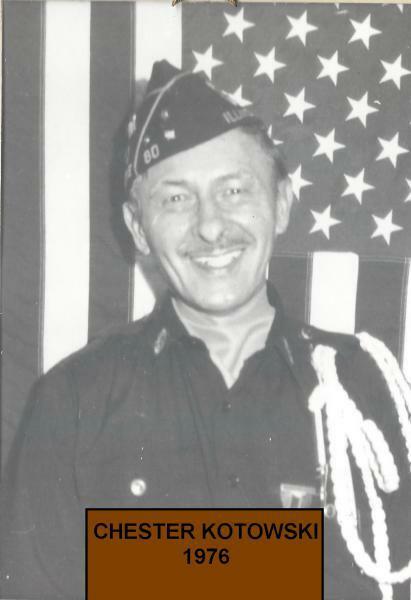 Since I was Past Commander in 1948 I know the year was successful because the Post is still alive and doing very well. There was a nation wide paper shortage during this time which may have had something to do with no records. 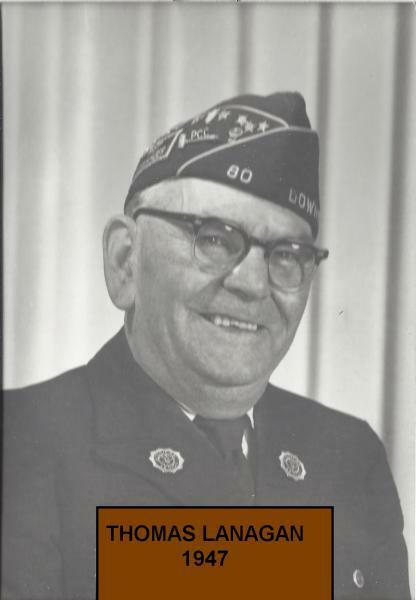 (words from Historian Tom Lanagan) Here in 2017 I have..
Fred Lester was chosen and elected Commander for 1949. His name has appeared often in this history. A little about Fred on a personal note. 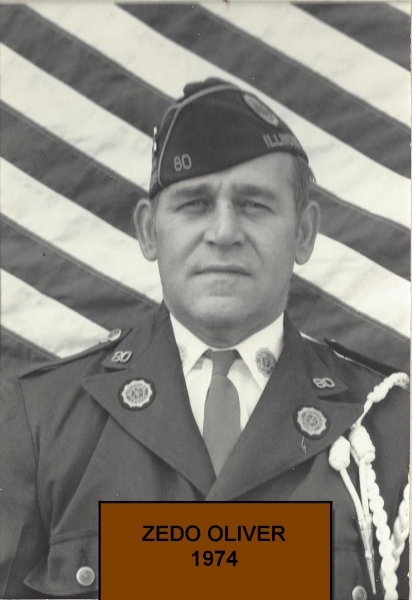 Commander Lester and his wife Minne were blessed with four sons and one daughter.The oldest boy, George served in the Air Force in WW II as a bombardier. just ready to leave for the European Front his plane and another collided in mid air during maneuvers in Florida. 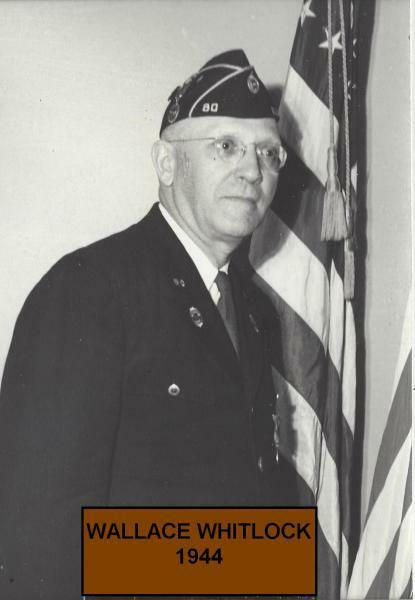 George was..
Comrade Kenitz was the first World War II veteran to become commander of Post 80. 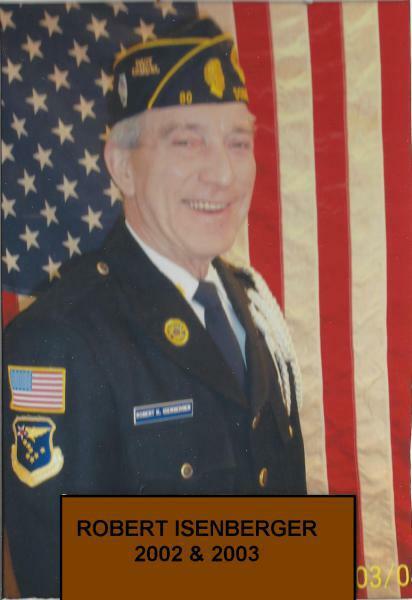 Kenitz was blessed with a wonderful personality and was deeply admired by all who knew him. He was very civic minded, and a most promising business man. Harvey worked hard to arrive at the top of Post 80. 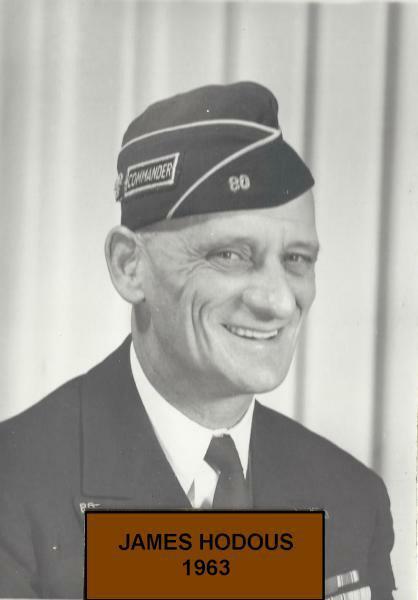 This most modest young leader had seen plenty of action with the Navy in the South Pacific during WW II. 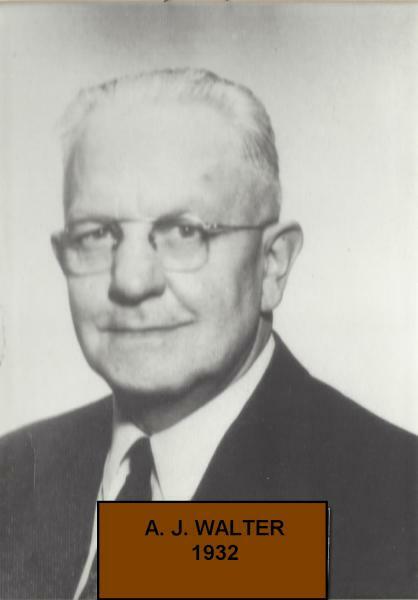 Upon his..
1951 brings Joe Krepper and a step in the right direction. With eighteen years of Army life and now a Chief Warrant Officer in the Illinois National Guard, Joe Krepper becomes Commander of Post 80. 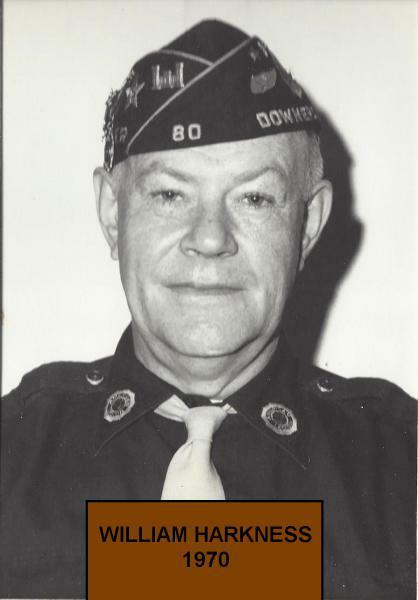 During WW II he served as a Master Sergeant in the Army and was an interpreter at the Nazi trials in Germany. He could tell many interesting stories. 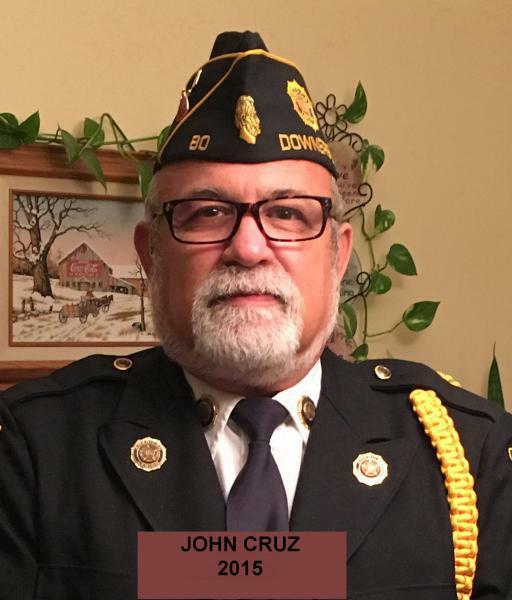 His wife, Corabella is also a member of Post 80. She was a Captain in the Army Nurse Corps. They both were great..
Now we come to 1952 and if ever the Post was in a dense fog and seeking leadership, it is here and now. The year just passed seen a Jr. Vice Commander bypass Sr. Vice and jump into leadership. 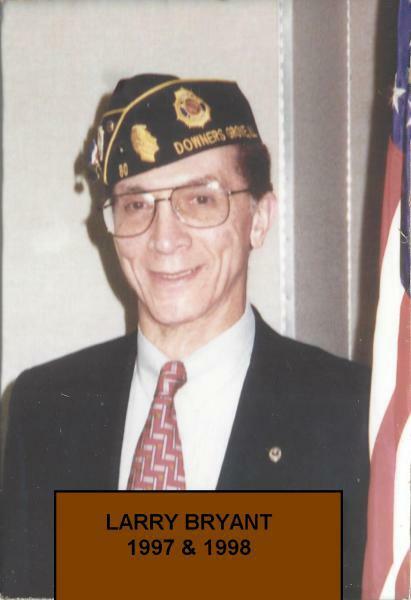 Comrade Rollie Wight Sr. had served in both wars and was Sr.Vice Commander under Harvey Kenitz. He was next in line for commander and certainly qualified. Due to his own business he was forced to give..
Post 80 is still in a dilemma for experienced leadership. 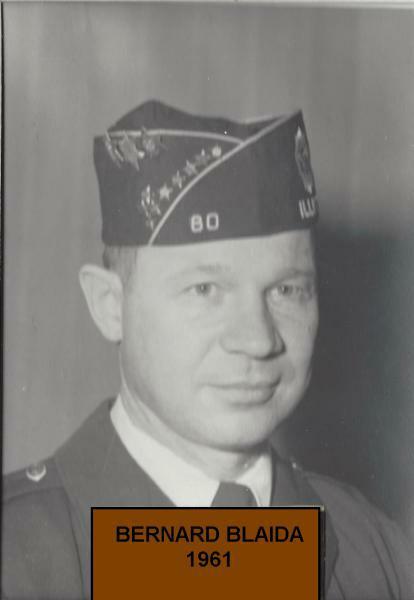 A well known and popular spark plug with no Legion experience was chosen as commander for 1953. 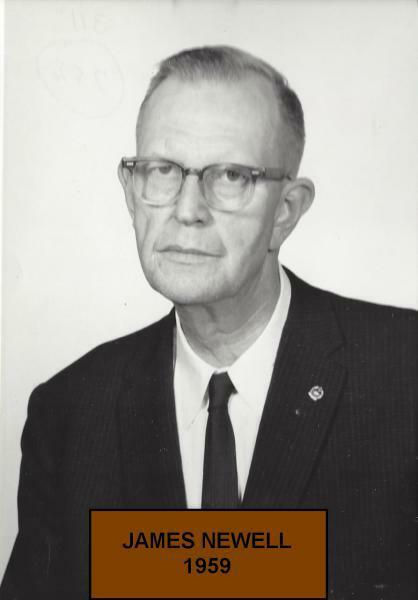 This was Alois Mrkvicka. He served for three meetings and his work transferred him to Springfield. 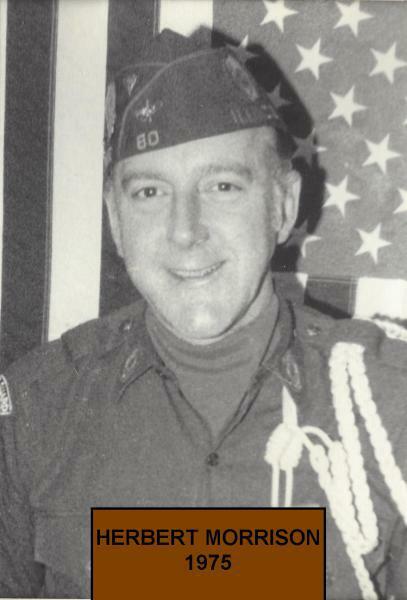 Andy Blaida was the Senior Vice and now became commander. 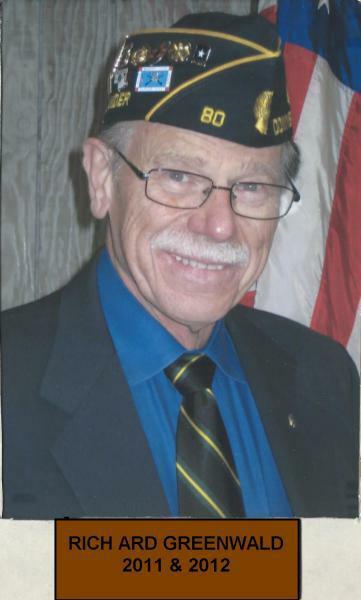 Andy Blaida had served on several committees and worked carnivals and parades in his time with the Legion. He had two brothers,..
1954 finds Post 80 rising from the slump. 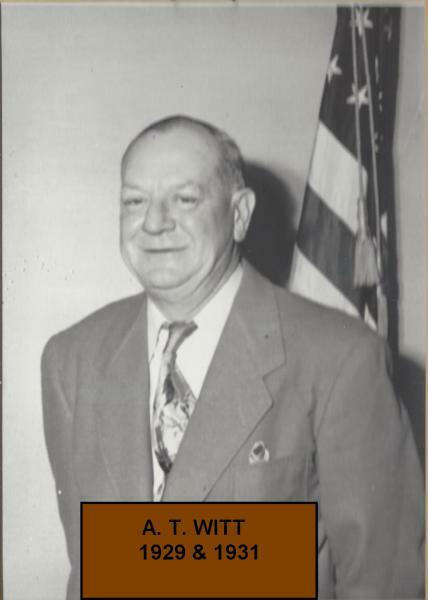 For 1954 the Post elected "Old Faithful", Herschel G. Hubbard to be Commander. He was an integral part of that small nucleus that has done so much to keep the Post alive during these trying times. Ever since he joined the Post he has been an outstanding worker. He had served on almost every committee within the Post. 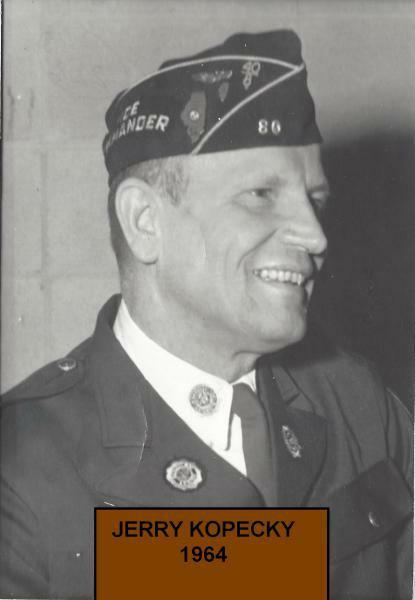 You would always find him in uniform at Memorial Day and Armistice Day services.He helped at every..
1955 Alvin Fister takes command. 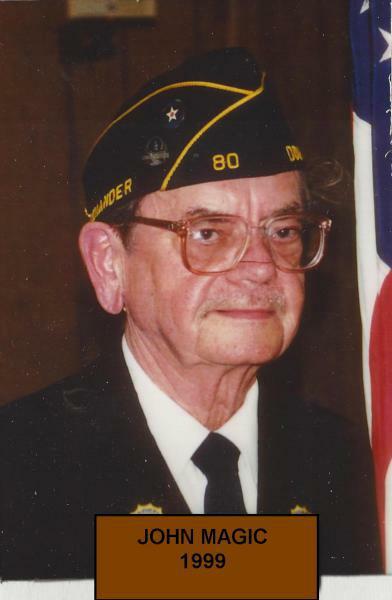 Alvin Fister is a World War one veteran and was chaplain in 1942 and 1943. 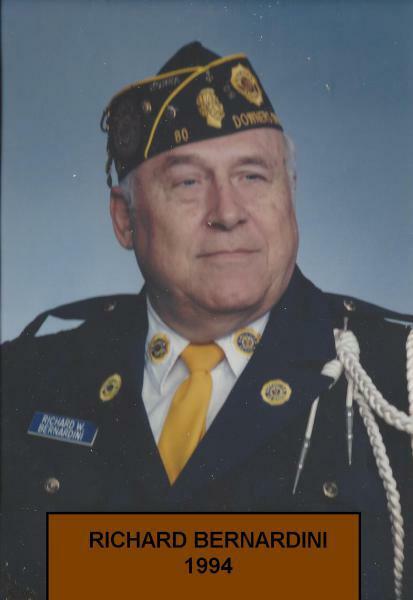 Through out the years he has always been an active member of Post 80. Al has been actively pushing for a new Post home since the purchase of the Ogden property. The Korean Conflict has been over for two years and our country is at peace. Unemployment is at a low and the populace is getting back to normal. The..
Post 80 will continue to roll along smoothly and serene, for Commander Fister who has earned a much needed rest, is turning the reins over to a real loyal legionaire of whom we can all be proud. He has worked untiringly for the Post in his climb to the top. He has worked with that same zeal and ardor, that same dig in and give it all you got spirit that won him his commission..
To start the new Legion year a final report was given on the 1956 4th of July activities. The car raffle netted $1214.78, the fireworks had $256.37 to carry over for next year, and the carnival had a net income of $4327.57. $1100.00 was given to Auxiliary Unit 80 for their support with these activities. Reports were given on the progress of the sale of portions of the Ogden property. After several offers had been..
Our new Legion year began on a sad note, Mrs. Merrill Banta, Unit 80, passed away in August. She had been a loyal worker at our annual carnivals for many years, The Banta family, including their daughter Shirley(Wrenn) have faithfully volunteered at carnivals, Memorial Day and almost every annual event. 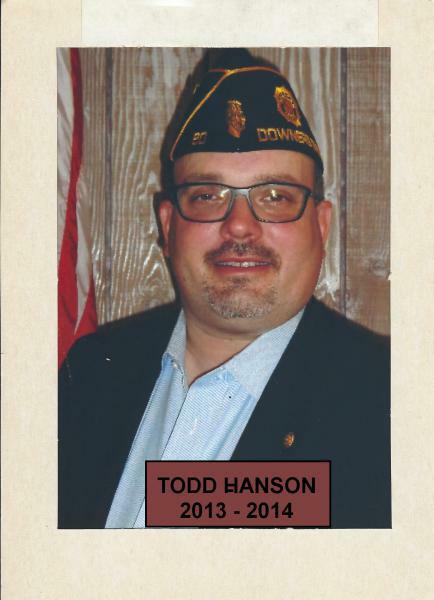 Now on to the new Legion year with Bill Schenke as commander and Howard Parsons as adjutant. Bill is a sales representative for Edwards Hines.. There is beginning to be a lot more interest in the Ogden Property. More offers are coming in, special meetings are called to discuss many of these offers.Commander Newell has his hands full right from the start of the new Legion year. At present the paid membership is at 225. Another offer for 400 feet of Ogden frontage has come in. The "All Sign Corporation offered $75.00 a year for a three year deal to.. Since 1958 the Ogden Property has been the main concern of Post 80. Offers for different parcels of the 49 acres have been endless. The frontage along Ogden Ave. has become the most valuable and has had the most offers. 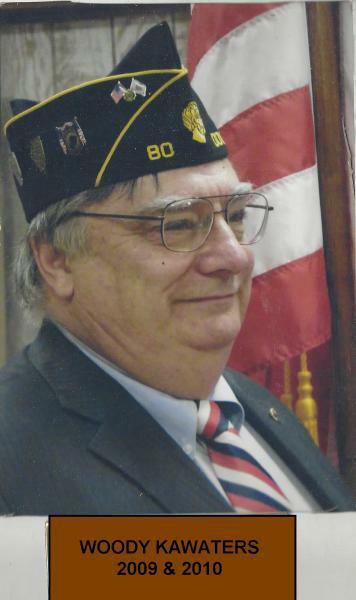 With the sale to Robert Hall, the Post now can move ahead with plans for the new Post 80 Home. Post 80 being led by Ed Wrenn begins the new Legion year with 208 paid..
Bernard Blaida takes command as more of the Ogden property is sold and the blue prints for a new home are almost complete. September 1960 showed the 4th of July activities to have come up short. Extra funds had to be transferred to the fireworks fund to cover the cost and next year will be discussed at a later date. 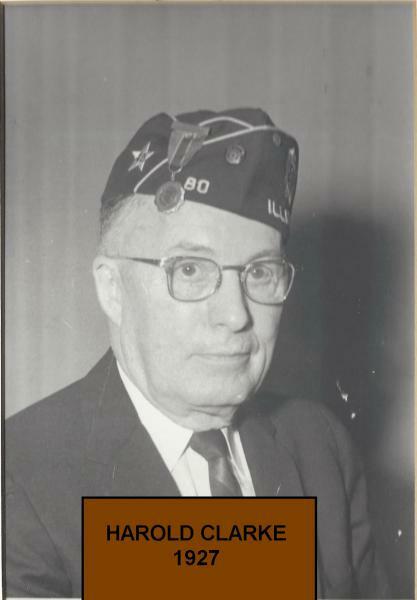 At the September Board Meeting Andy Blaida made a motion to sell the 200 foot..
Tom Lanagan found this report for 1961 - 1962 which was written by then Commander Louis Wrenn. I will write this word for word from the pen of Louis W. Wrenn. Commander's Final Report for 1961 - 1962 Prepared by Louis W. Wrenn The following pages are intended as a final report of the Post 80 activities for 1962. They are intended also as a critical resume of our successes and failures, as well as.. Installation of Officers was held on September 8th in the new Post 80 Hall. Commander John Weller spoke of various types of rentals which could be held in the new hall. A schedule of Legion events should be prepared and on those dates the hall would not be available for rent. As in previous years all Legion activities were carried out during this year. 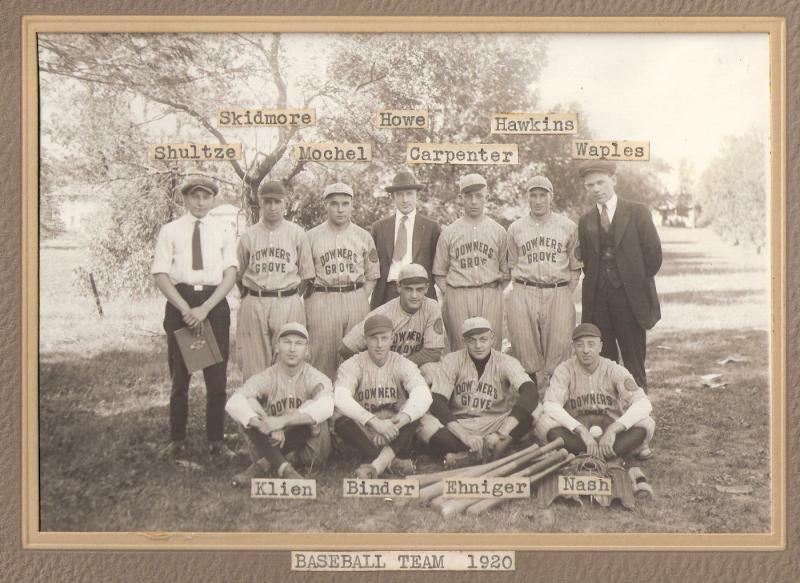 With a new hall, bar and lounge more activities were added..
1964 Jerry Kopecky leads Post 80, Changes are needed. 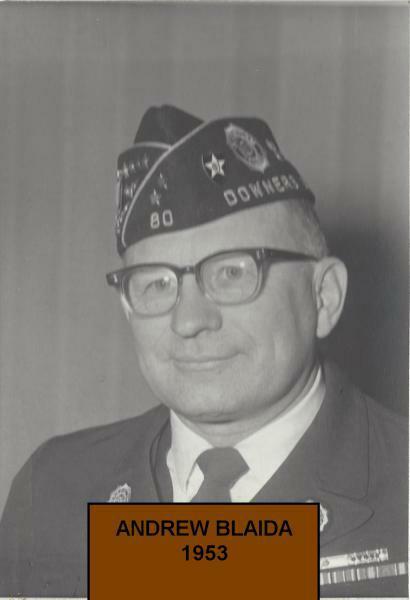 As Jerry Kopecky took command of Post 80 for 1964, all Legion programs were conducted as usual. The records for 1964 are not as complete as those of the past. The By-Laws are in the process of being rewritten.The year ended with 100% paid membership of 454. A traffic light for the corner of Saratoga and Ogden Avenues has been approved by the Village. 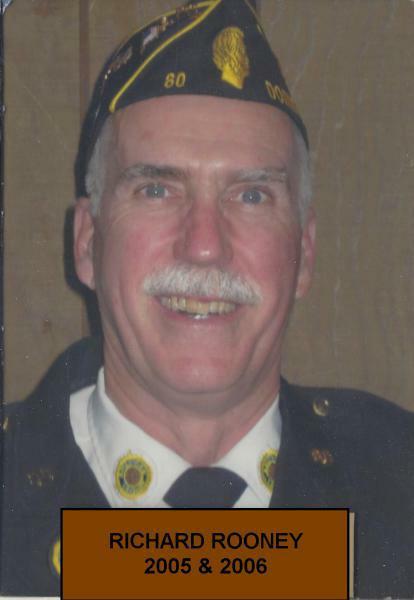 The Post is finding that new ways of generating funds are..
Steven Kadlec is Adjutant for this year and the minutes of meetings are a brief report of each meeting. 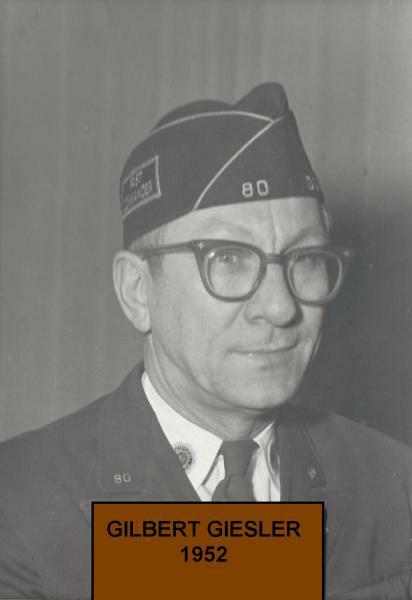 Historian Tom Lanagan was unable to find detailed information for Legion year 1965. In my search for 1965 information I did find several photographs for the year and will add them later. In October the Legion provided an Honor Guard for the dedication of the new Downers Grove Sanitary District facility. A Halloween Dance was held..
1966 Brings fish fries, Las Vegas Nights and more. With a new Post Home and our Memorial Park dedicated the Post now is in search of ways to raise funds to meet the costs to maintain both. Legion year 1966 was the first year for a Halloween Dance and a rummage sale. Both were very successful. The Boy Scouts had a spaghetti dinner which added $477.00 to their account. The 4th of July activities became a hot topic in 1966 as cost were rising..
For the most part 1967 was a normal Legion year ending with an all time hi with paid membership. 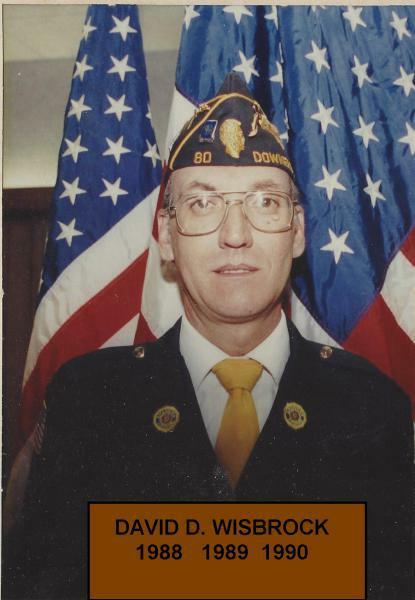 Viet Nam veterans were now joining the Legion and the all time hi of 529 was reached before the Legion year ended. The membership was becoming more aware of the cost to sponsor and run the various programs of the Post. The cost to continue the monthly fish fries brought an end them. 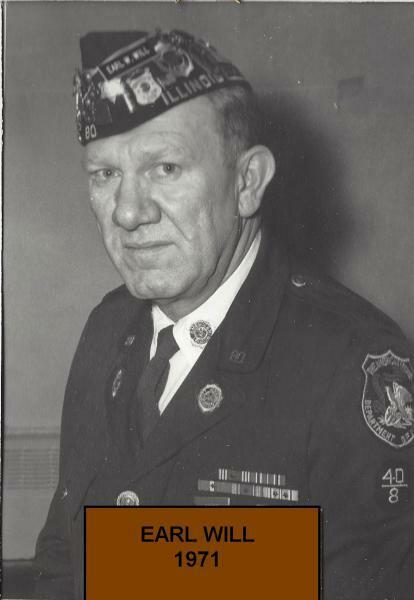 Requests for donations..
On September 6, 1967 Al Sheber opened his first meeting as Commander of Post 80. Business was as usual with a few surprises. 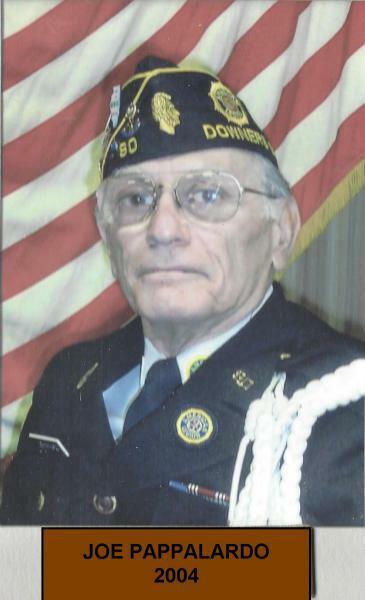 Comrade Ray Fiene presented the Post with five chrome helmets for use by the Post 80 Honor Guard. Comrade Lou Edwards donated two World War one newspapers in hopes that they would be framed and placed on a wall in the Post home. 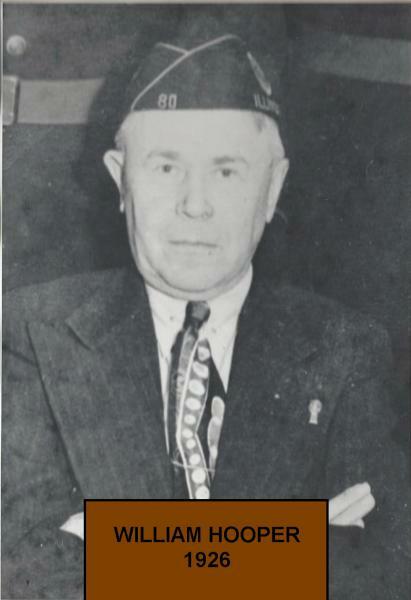 Since the pool table in the basement wasn't being..
Mason Taylor took control of Post 80 in September of 1968. For the most part 1969 was a successful Legion year for the Post. Among the noted events were the beginning of a roll call of Board members present at all meetings. This was started as the first three Board meetings of 1969 did not have a quorum so only discussions could happen but no action could be taken. The Post property was annexed into.. 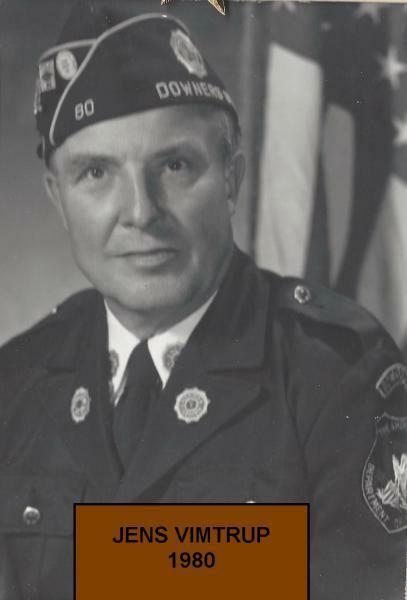 In September of 1969 the Post William "Red" Harkness took over as Commander of Post 80. Red loved books and had a very large home library. Most of his books were about the history of the United States and Scotland, Red's, homeland. 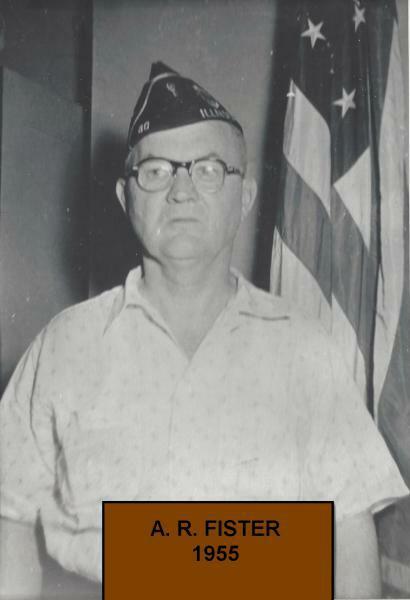 Back in 1956 Red's parents gave him a hard bound full sized book of "THE STARS and STRIPES" newspaper containing every issue during World War One. At the October business meeting Red donated.. The Legion home on Saratoga Avenue is now ten years old and repairs and improvements are needed. During the year the roof, air conditioning, kitchen exhaust fan and drapes in the lounge were replaced. As more and more activities were held at the Post the parking lot was also expanded to now hold up too 140 cars. Last year talks of fencing in the Post property were discussed and this year money was set aside.. 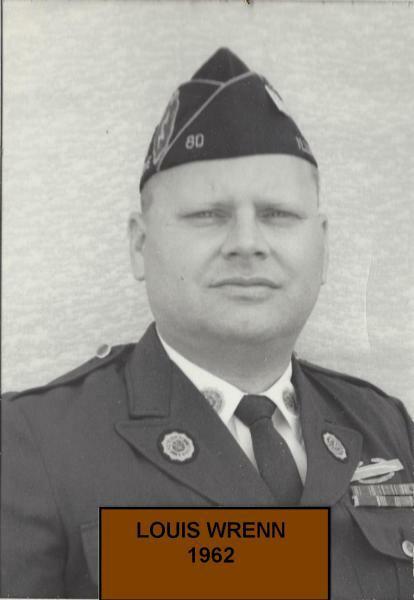 The 1972 Legion year proved to be a real challenge for Commander Kadlec. Looking for new ways to raise funds at the Post the topic of bingo is discussed at great lenght through out the year. Bingo gets the go ahead by the Board of Directors and the membership. Extensive planning is done but there will be no bingo in 1972. Improvements to the lounge are also discussed at great length. Although approved, updating the lounge.. In July of 1972 the Post began plans for bingo to begin at Post 80. On October 3, 1972 bingo began with 117 players and prizes as high as $20.00 to a single winner. Bingo will be every Tuesday evening and the doors will open at 4:30pm. At the end of the evening $376.00 was ready for deposit in the bank. A new era had begun for Post 80. The following weeks would see nearl..
During 1974 bingo has grown to be the number one source of income for Post 80. Members have worked together to form five bingo teams. Now members need only give one Tuesday a month for bingo. Attendance at bingo now averages over 250 players at each session. Members of Unit 80 have now joined to help the bingo program. 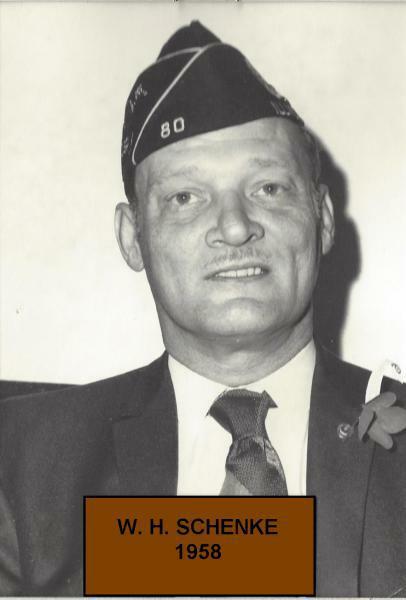 All regular Legion programs are carried out in fine form for Legion year 1974. The Post is.. In the fall of 1974 at the end of the Legion Baseball season plans for the next season began. Due to Little League and High School baseball it has been getting harder to put together a Legion Baseball team so it was decided to drop the Legion Baseball program and begin sponsoring two Little League teams. 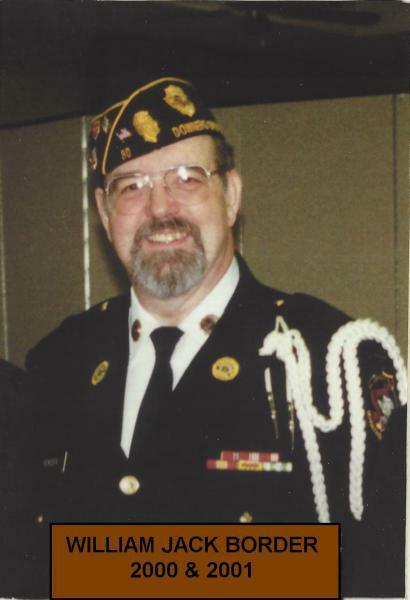 The land north of the Legion grounds was dedicated as The American Legion Field. 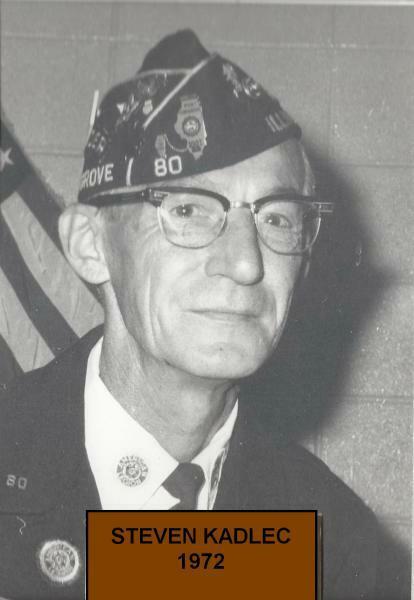 On the night of September 21,1974..
As Post 80 moved into the Legion year of 1976 plans for a Bicentennial Project were also begun. 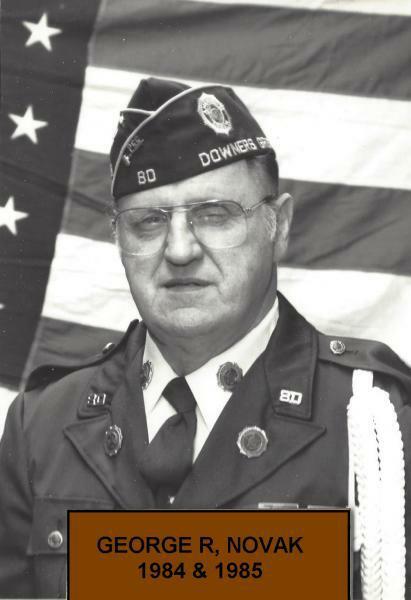 Funds would be set aside for the celebration on July 4, 1976. All regular Legion activities would becarried out as usual but the members wanted to do something big. 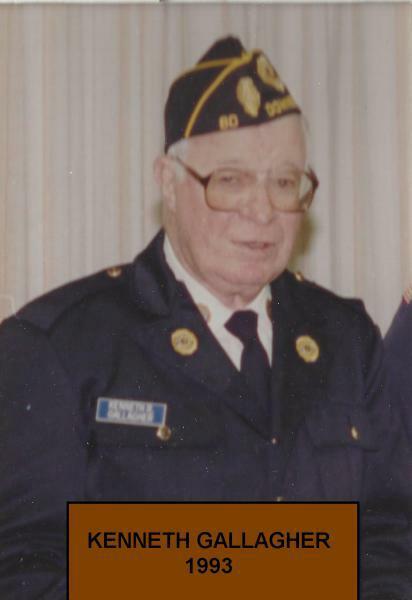 1977 is a busy year at Post 80. The Bicentennial Project of 1976 is being completed. The 30 foot tall obelisk has been ordered and will arrive before Memorial Day. The obelisk will be delivered in four pieces all made of Rockville pink granite from Minnesota. The base is 10' by 10' and 1 foot thick. The second base is 8' by 8' and 1 foot thick. The center is 5' by 5' and 6..
1978 saw all Legion activities carried out in the normal grand fashion. A list of names of veterans who served our country during the eligible membership dates was started. These names would be placed on a plaque to be mounted on the new obelisk in our Memorial Park. The actual size of the plaque will determine the number of names which can be displayed. At present it is planned to have 60 to 80 names..
Bingo has become the main source of income for Post 80. Getting enough volunteers on bingo night is still a problem. Seems that the same few are always doing all the work. The cost of Independence Day festivities is rising and several members feel that the Post should discontinue the fireworks. Since 1922 the Post has sponsored and paid for the Independence Day activities. From the parade and carnival to the fireworks display Post 80..
A new year and a new decade find Post 80 beginning to enjoy better times. Rentals are more frequent generating higher bar sales and more people are attending bingo. Legion activities are carried out as usual. By December 1979 the loan on the obelisk is paid off. Also improvements to the Legion road are also paid off. Again one member wishes to push a motion to sell the Post 80 properties in Downers Grove.but is.. 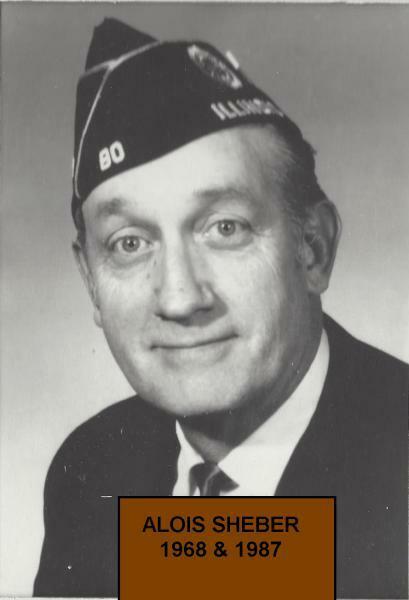 In July of 1980 Post 80 lost one of it's founding members. 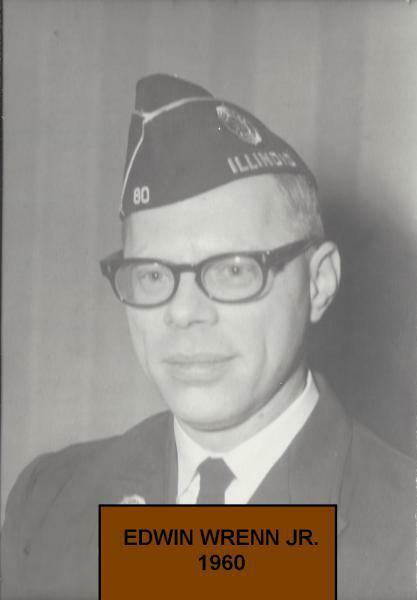 Grant Nash grew up in Downers Grove, went to school with our namesake (Alexander Bradley Burns), and was in the 149th Artillery with Alex. 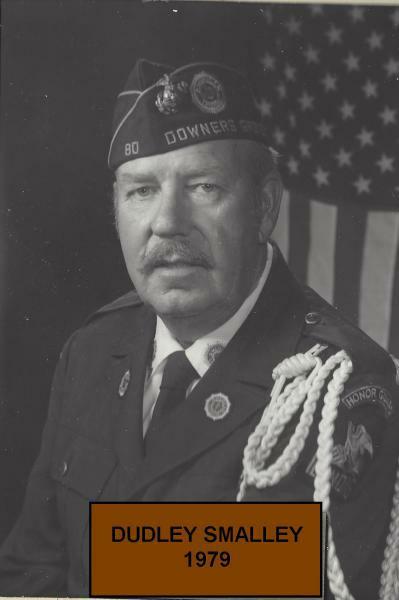 After his passing his family donated to Post 80 his military collection which included memorabilia from the Civil War and WW I. More on this may be found else ware in this Post history. 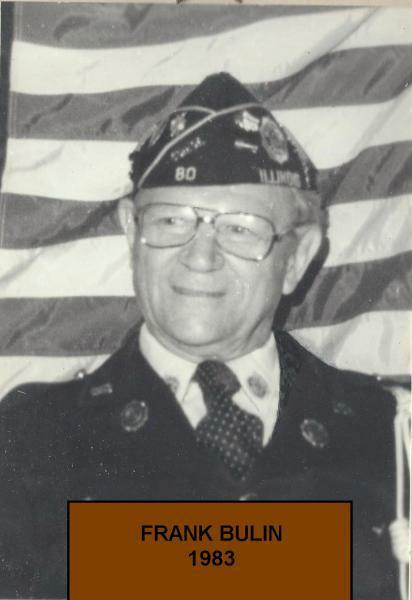 Outstanding loans on the obelisk..
Frank Bulin has been an active member of Post 80 for many years and is well aware of the Post involvement in the village. Early in this year School District 99 began renovations of the baseball field to the north of the Legion property. This land was deeded to District 99 in 1947 shortly after the Legion purchased a 48 acre tract of land in unincorporated Downers Grove. The purpose of the donation was for..